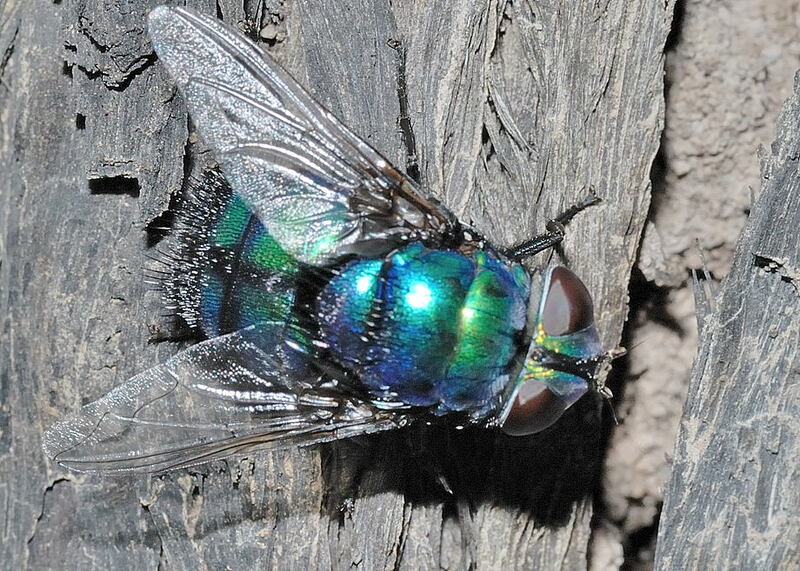 This page contains pictures and information about Blue Rutilia Fly that we found in the Brisbane area, Queensland, Australia. Blue Rutilia Fly is a large size fly with metallic blue-green colours. 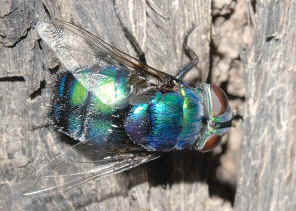 All Tachinid Flies share the parasitoid habit. Their larvae are internal parasites of many orders and families of insects. 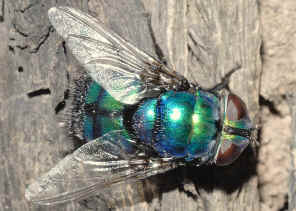 The Rutilia Fly mostly are parasitic in larval Coleoptera (beetle) especially Scarabaeidae. 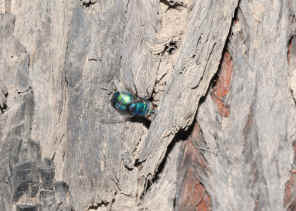 Adults are usually found resting on tree trunk. 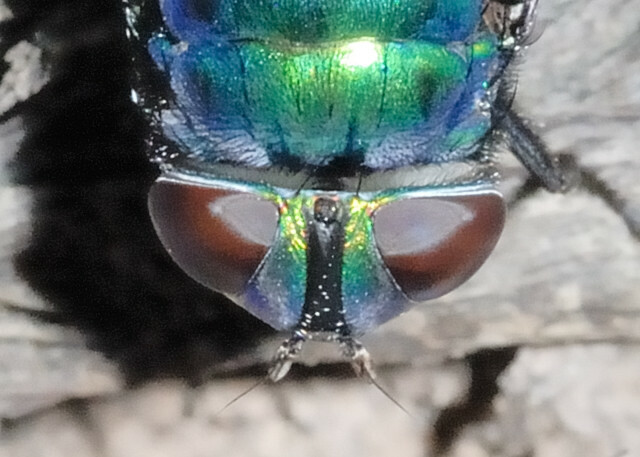 This fly can be identified by its non-pollinose parafrontals brilliant metallic green to blue-violet in colours, and its has three setae on postalar callus (most other Rutilia sp. 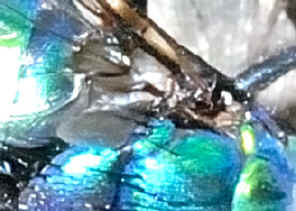 have four or more). There are the very strong supernumerary setae on the scutum immediately in front of the scutellum. We found this Blue Rutilia Fly once on Dec 2008 in Karawatha Forest on Rocky Track. 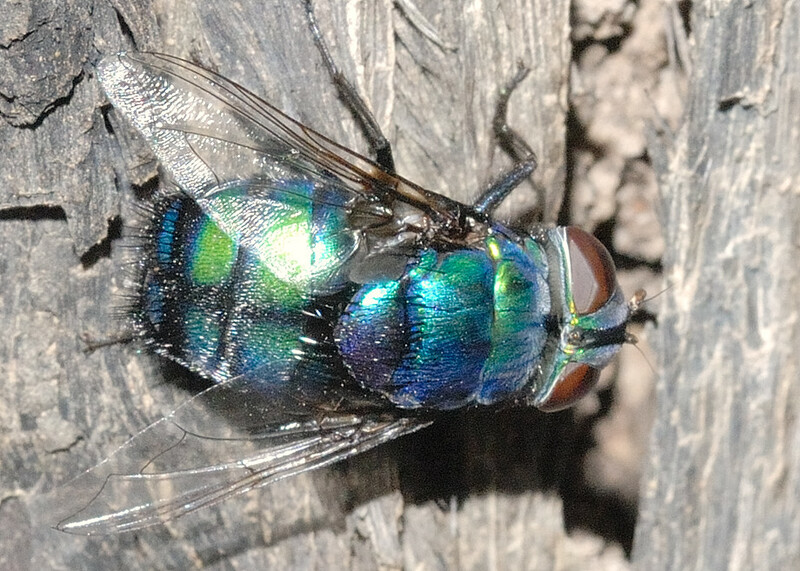 For the general information about Tachinid fly in tribe Rutiliini, please check this page.